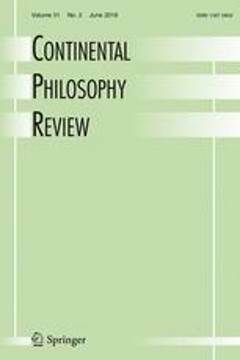 (2012) Continental Philosophy Review 45 (1). This paper addresses racism from a phenomenological viewpoint. Its main task is, ultimately, to show that racism as a process of "negative socialization" does not amount to a contingent deficiency that simply disappears under the conditions of a fully integrated society. In other words, I suspect that racism does not only indicate a lack of integration, solidarity, responsibility, recognition, etc. ; rather, that it is, in its extraordinary negativity, a socially constitutive phenomenon per se. After suggesting phenomenology's potential to tackle the question of racism, I will focus on the experiential oppressiveness of racism, i.e., the ways in which it affects its victims' lived experiences, in transforming their habitual ways of life and, finally, their subjectivities. My major thesis is that racism works via both inter-kinaesthetically as well as symbolically inflicted distortions of the victim's body schema. As such a process of "negative socialization," racism, however, influences the embodied self-conception of the oppressor, who finds himself compelled to adhere to some kind of invisible norm such as, e.g., "whiteness." Staudigl, M. (2012). Racism: on the phenomenology of embodied desocialization. Continental Philosophy Review 45 (1), pp. 23-39.